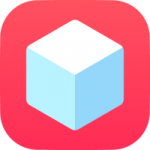 TweakBox is entirely free for download, free to use, does not require a jailbreak and it works perfectly well on iOS 12. Deleting TweakBox is a simple matter, taking little time and not interfering with the other apps on your device. The guide below shows you how to do it. Close Settings, try the installer again and you won’t get the error. When you start using TweakBox installer, sometime in the first few days, it will crash and stop working. Apple has revoked the certificate as they do with all unofficial apps. Reinstalling it, along with your apps and games, will bring it back but you should consider stopping the issue altogether. The only way to do this is to install a recommended VPN with the installer; this keeps you protected online, hides your software download locations and stop the certificate from being revoked. Check out our FAQ page for detail about other common installation error. TweakBox is undoubtedly the best Cydia alternative of its kind. With over 2000 game, apps, and tweaks to choose from, you will be hard-pushed not to find something you want to download. Try it today; it is free, it is user-friendly, and it is very thorough in what it offers. Tell us what you think and follow us on Facebook for more tip and tricks. hey , please go to the link mentioned there and you will get the configuration profile for download. I have already installed it. My ios updated to 12.2 and I can not install the app any more, could it help please? My ios updated to 12.2 and I can not install the app any more, could it help please? when this proplem can be fixed? Tweakbox doesn’t seem working on iOS 12.2. Guys is there any of this soon? Same here, I updated to 12.2 and now it doesn’t work. I guess we’ll have to wait for TweakBox to update now. I hate Apple!